Well, hello glam eyes! 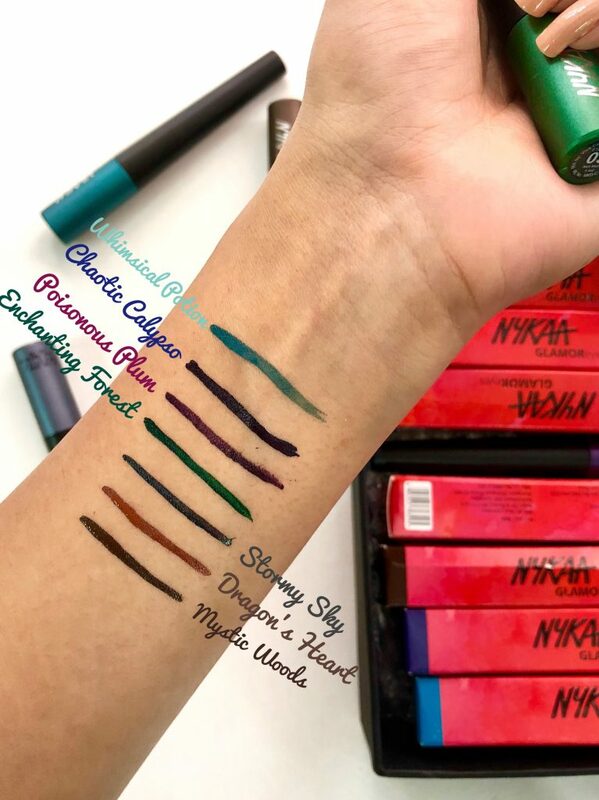 A bold release that packs a punch of stunning color in just one swipe, Nykaa’s Glamoreyes Liquid Eyeliner is all you need to get the most fabulous eye look on. What’s great about this product is its melt, crack and run resistant properties. This refined liner glides perfectly across the lash line for a gorgeous fluid application, leaving you looking super sensational! Quick swatches to guide you to your favourite shade. The eyeliner tube comes in a bright red pink cardboard box. The packaging is sleek and stylish with the tube having its shade at the bottom. 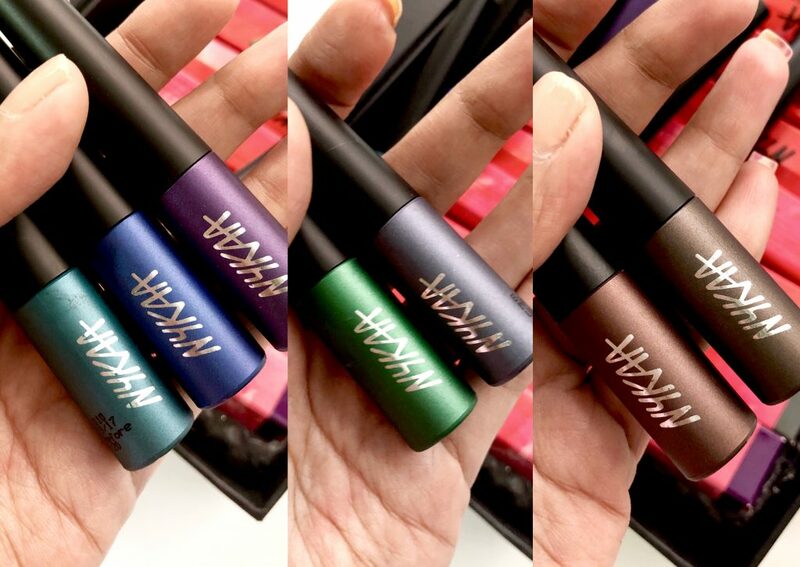 The pigmentation great, an intense colour pay off in ONE single swipe. 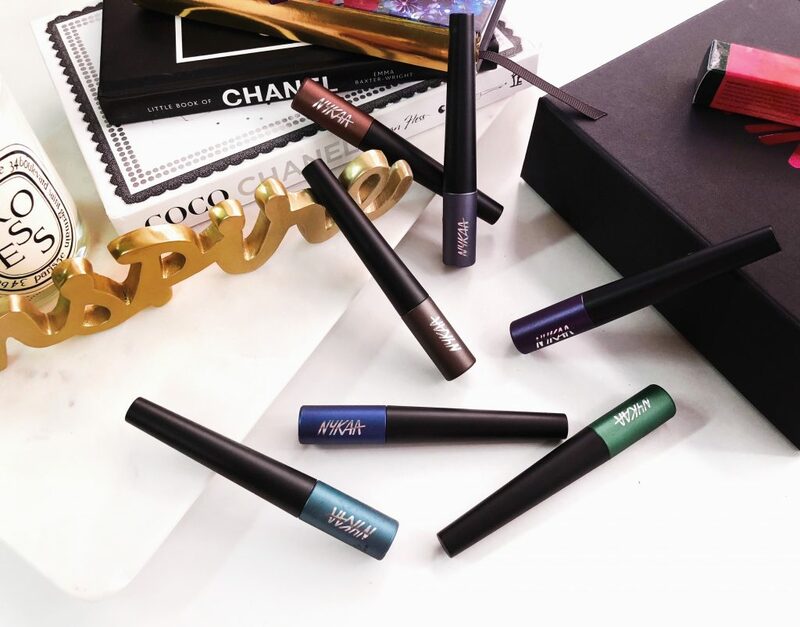 So Go Glamourous this party season with Jewel Tone eyeliners.